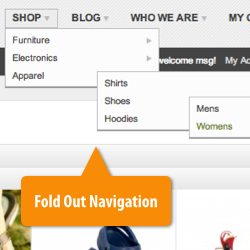 Customise Magento's top navigation menu in minutes with this powerful developer tool. Simplify navigation to keep customers browsing your store for longer. Make it easy for people to find the information they want – link to your FAQ's, contact page and much more. Create a logical menu structure using fold out navigation options and parent headings to make browsing easier and keep your site looking great. Organise CMS pages and product categories hierarchically. Create a professional navigation menu by mixing and matching 17+ different page types. 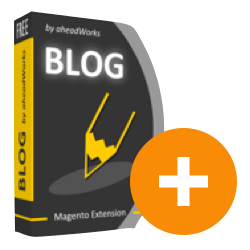 Effortlessly integrate your Aheadworks blog blog with your store. Link to your blog's main page, or include a fold out menu linking to blog categories or even individual blog posts. Make it easy for customers to complete their purchase. 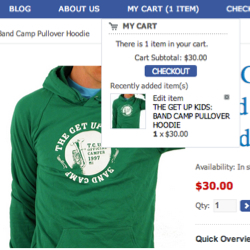 A hover cart will show customers the items in their cart when they hover over the "Cart" menu item, and include an easy link to checkout. 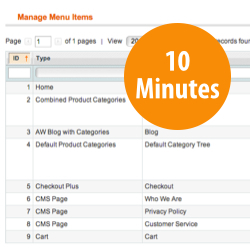 Set up or modify a navigation menu in just 10 minutes from the Magento backend - even without technical knowledge. No need to spend time and effort on manual coding and customisations. Can I customise side or bottom menus? Currently Fooman Navigation Menu Customiser only supports customisation of the top navigation menu. Can I customise the appearance of the navigation menu? Fooman Navigation Menu Customiser makes use of your current CSS navigation and does not alter your theme or the appearance of the navigation menu in any way. It is not possible to make appearance customisations directly with this extension. 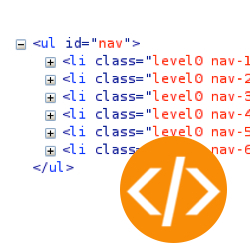 Are there any known conflicts between Fooman Flexible Navigation Menu and other Magento extensions? There are no known conflicts. 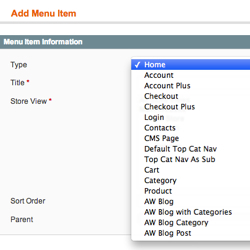 Flexible Navigation Menu is fully multi store capable - simply configure different settings for each store set up.